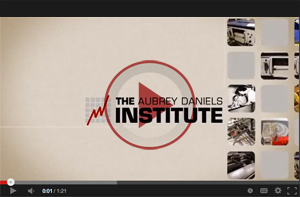 Announcing the launch of The Aubrey Daniels Institute! 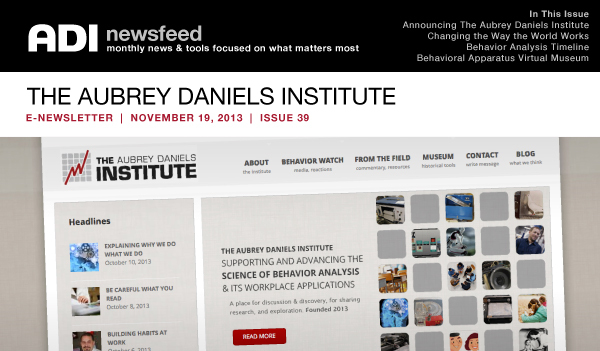 Aubrey Daniels International is thrilled to announce the launch of The Aubrey Daniels Institute, a site dedicated to increasing the understanding and advancing the use of the science of behavior in the workplace. Aubrey Daniels has long believed that through an understanding of human behavior, we can change the way the world works. 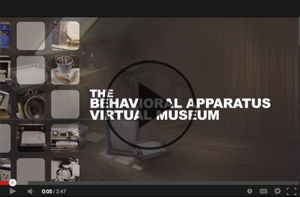 The articles and resources that follow serve as an introduction to the vast features of the institute, including the only one of its kind, Behavioral Apparatus Virtual Museum. It is with great excitement that we announce the launch of The Aubrey Daniels Institute. This new site will be a place to explore, from a research perspective, the conditions that help to create and sustain individual excellence and business success. It is our hope that this Institute will further your understanding of the science of human behavior and will support us all in our quest to change the way the world works. It can be proven that no matter what workplace problem organizations face, the greatest and most sustainable impact comes from using the science of behavior. Early in his career, Dr. Aubrey Daniels worked with patients at the Georgia Mental Health Institute and through a behavioral approach, was able to positively impact even the most problematic behaviors. This success led him to applying behavioral science to workplace problems. Learn why using your knowledge of behavior will enable you and your organization to see an impact and results far greater than traditional approaches. 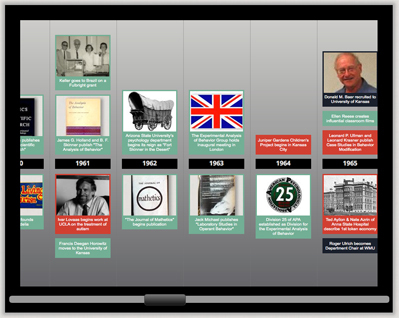 A timeline like no other, this comprehensive look at the history of behavior analysis tells the story of important events, people, and resources from its beginnings with B. F. Skinner's work in the early 1930s up through the 21st century. Behavior Watch is the section of the site designed to discuss and sometimes dispute that which appears in popular media. While much of the advice and commentary may be useful, we provide a behavioral perspective based on the scientific evidence. Average Joes and Josephines In this Behavior Watch entry, we question the advice we may hear, see or read on how to stay healthy, live longer or avoid common problems. Is this type of advice helpful to regular Joe’s and Josephine’s? We break it down and explain why behavioral approaches are much more individualized, and therefore more effective. From the Field is a section of the Institute designed for researchers and practitioners of behavior analysis to share commentaries and information. The insights provided illustrate how a behavioral perspective can be applied to everyday situations. Round and Round Dr. Andy Lattal, Executive Director of the Institute and curator of the Behavioral Apparatus Museum, discusses common traps we fall into by using labels to describe other’s abilities, skills, or habits. 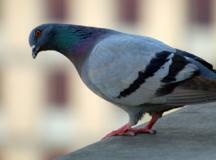 Learn why using labels fails to describe or pinpoint one’s actual behavior. 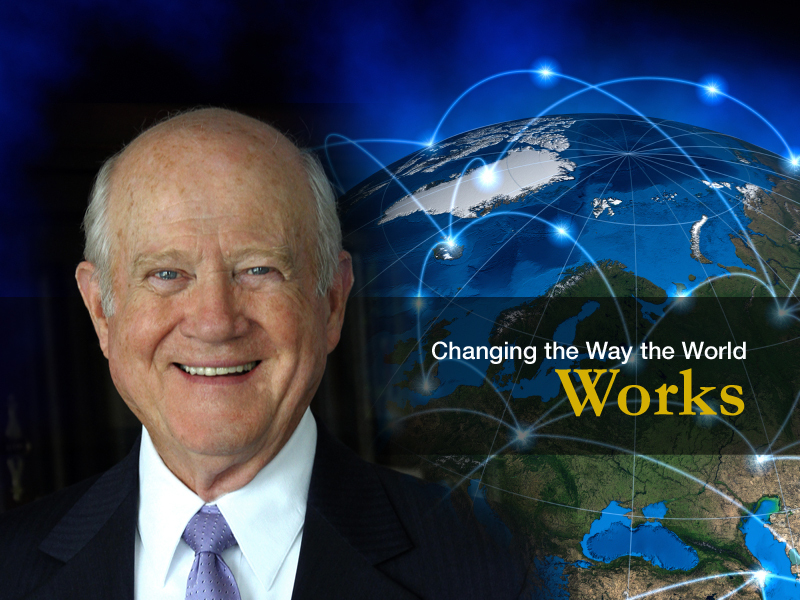 Hear how the introduction of The Aubrey Daniels Institute furthers Dr. Daniels' long-standing desire to change the way the world works. Learn more about the Institute and its aims to promote and advance an understanding of the science of human behavior. Behavioral apparatus has historically played an instrumental role in the field of behavioral science; enabling scientists to answer questions that would have otherwise gone unanswered in studies and research. Hear more about what you can expect to find in the museum in this short video. Interested in learning more about the science of behavior, its history, and its application in the workplace and beyond? The ADI Essentials Value Pack offers savings of over $60 and features Aubrey’s best-selling books. 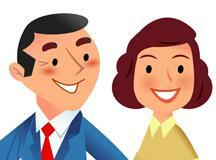 Or gain insight into how to be a better manager and strengthen relationships with Bringing Out the Best in People. If you want to know more about the history of the science, read Thomas Gilbert’s unfinished, untouched autobiography, Human Incompetence, which provides a look at the life of this tremendous influencer in the field of performance technology. Even the most intelligent leaders sometimes make bad decisions. The desire to justify past choices or a reluctance to abandon heavily invested projects can cloud judgment and prevent people from making the best decision. However, this article explains how the science of behavior and tools like the 5-step model can guide your decision-making and can improve your ability to objectively choose the best option. It is our hope that The Institute drives discussion and learning from those in business, as well as education, academia, and other areas of life. We invite your feedback and comments. 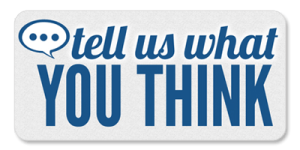 Before you go, take a minute to let us know what you think.